We know our oceans and coastlines are choking on plastic. We’ve all seen plastic bottles, food wrappers and plastic bags polluting beaches, and been horrified by the stories of marine creatures like seabirds and whales starving when their stomachs become packed full of plastic. Scientists have shown that up to 12 million tonnes of plastic is entering our oceans every year – that’s a rubbish truck full every minute. Single-use plastic packaging for food and drink is a particularly common part of the problem. But how does plastic actually get into our oceans? 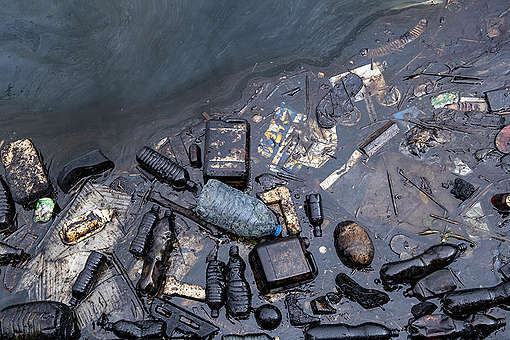 While about a fifth of marine litter is made up of fishing gear and other materials lost at sea by accident, industrial losses, or illegal dumping, we know that roughly 80% of litter in the seas comes from land. The sheer amount of plastic that has been generated in the past 60 years is mind boggling. New research shows that we’ve produced plastic as heavy as 1 billion elephants since the 1950s. Even more staggering is the amount that has rapidly become waste. Just 9% of this plastic has been recycled. That means the majority of plastic waste has simply been dumped in landfills or burned. Ironically, the tourism industry that has enabled more people to visit beautiful beaches is suffering as the growing problem of plastic pollution is turning visitors off destinations where the problem is most visible. Many people were horrified to discover that tiny pieces of plastic known as microbeads have been added to all sorts of personal care and cosmetic products that are washed directly down the drain – from face scrubs to shower gels to toothpaste. As many of these microbeads are too small to be filtered out by wastewater plants, these plastic pieces are remaining in water that may end up flowing into the ocean. That public outrage at these microbeads polluting our oceans combined with concerted campaigning has led to governments across the world banning products from containing microbeads, including the UK, US and Canada. But plastic in cotton buds, facewipes or sanitary products that are flushed down the loo, and even plastic fibres in clothing that shed in the washing machines still pose a risk for plastic entering the ocean. Finally, lax standards in industrial processes are responsible for some plastic getting into the environment, either when products containing plastic aren’t disposed of properly, or escaping during the production and or transporting of products. For example, thousands of the tiny plastic pellets used to make plastic products, known as nurdles or mermaid’s tears, are washed up on UK shorelines every year, polluting nearly three quarters of UK beaches at a count in February this year. Once plastic is in our oceans, it flows on ocean currents all across the world – so even uninhabited islands in the Pacific and the Arctic are becoming dumping grounds for plastic. That’s why we have to tackle the problem at source. To end ocean plastics we need corporates to reduce the amount of single-use plastic they are selling, to cut down on the plastic that is thrown away in the first place. We also need governments to improve waste management systems and boost the re-use of plastic through initiatives that boost resource efficiency and a circular economy. We need to close the loop on plastic, ensuring it stops escaping into our environment and flowing into the oceans. Marine life simply cannot stomach any more plastic. 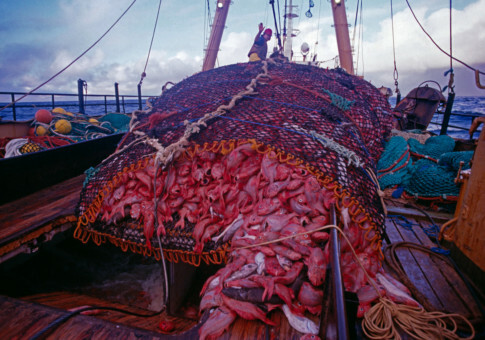 This blog post was originally published by Greenpeace UK. But there’s action you can take here in New Zealand, too. 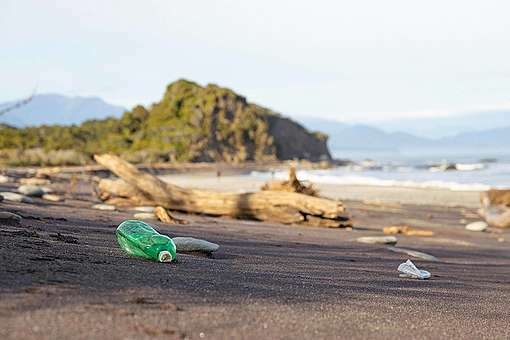 We’re calling on the NZ Government to ban single-use plastic bags. Sign the petition!